Every child deserves to succeed. There are many ways to help us unlock the potential of our young teens. From volunteering to becoming a community partner or making a donation, you can make a meaningful difference in the life of a child. Being involved has never been easier, choose what suits you. 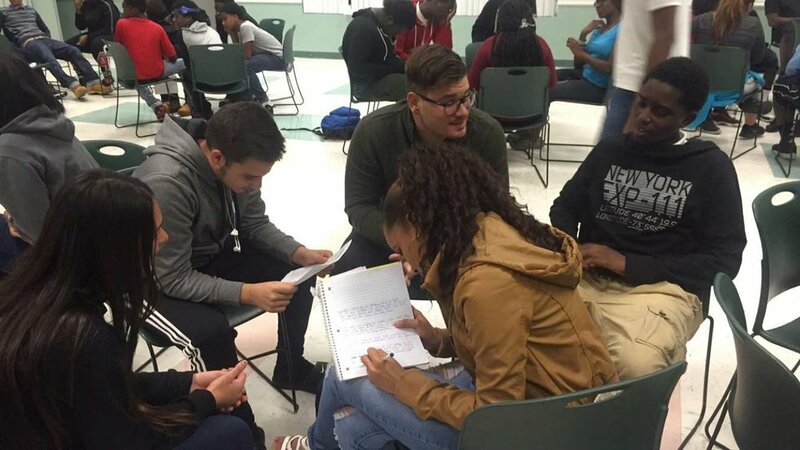 Help us continue to offer free programming for South Florida teens and families. 100% of each donation is directly allocated to our teen and community programs. Volunteers are the backbone of our organization. Volunteer once, or make an ongoing commitment to aid us as we work to inspire and motivate our teens and families of South Florida. Our students are always in need of everyday items that we sometimes take for granted. We accept in-kind donations on an on-going basis. In-Kind donations are tax deductible.